April Cull in an Atlanta native and recently moved to the Hampton Roads area. April received her Bachelor of Music Education degree at Kennesaw State University while studying violin with Helen Kim. April spent four years in public school education teaching both middle and high school students, as well as over ten years teaching violin privately. 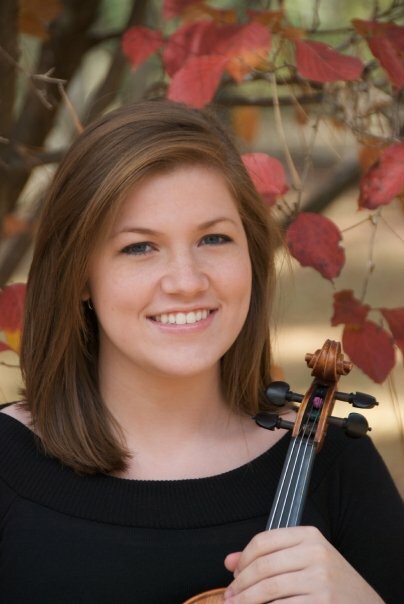 She was a recipient of the Georgia Youth Symphony Orchestra Scholarship, where she helped administer and coach a youth orchestra program of over 400 students and also worked as Operations Manager for the Metropolitan Youth Symphony Orchestras of Atlanta. April has subbed with various orchestras including Columbus Symphony Orchestra, Augusta Symphony Orchestra, Georgia Symphony Orchestra, and Virginia Symphony Orchestra. She enjoys all types of music, and is currently exploring her roots by studying Scottish and Bluegrass fiddle styles. ​She lives in Newport News with her husband, Levi, and their boston terrier Alfred.